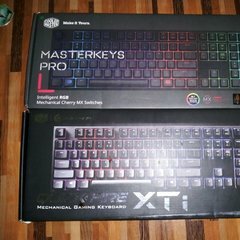 I've recently purchased a CoolerMaster Seidon 120v v2. The fitting went fine, however I've noticed when booting today the CPU temp shoots straight up and periodically, there's a buzzing noise. I can hear the pump working. what kind specs you using ? Hi, thanks for getting back to me do quickly. did you try check at bios ? Where is the radiator installed? What is your ambient temperature? Which tool do you use to readout the temperature? Does the radiator itself feel hot? Possible to post a few pictures of your build?